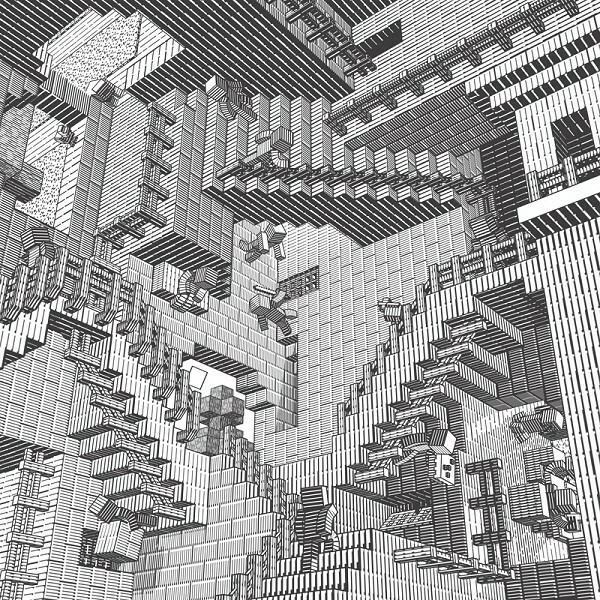 Here, we see Escher's Relativity with influences of Minecraft computer game. All characters of the artwork are cubical as the main character of Minecraft. The image was found at http://pluckylump.deviantart.com/art/Build-The-Improbable-329662760.